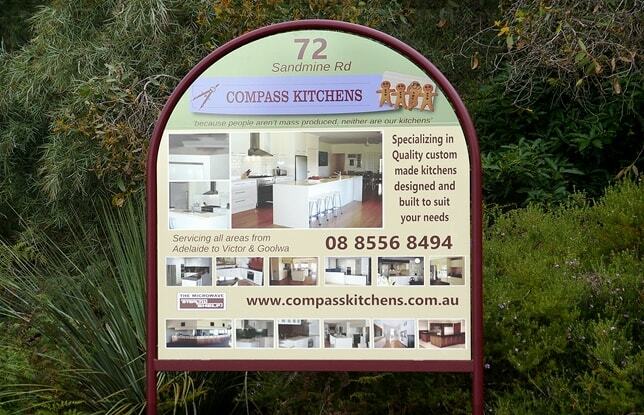 Compass Kitchens are proud to have had some of our work written about by several well known lifestyle magazines. 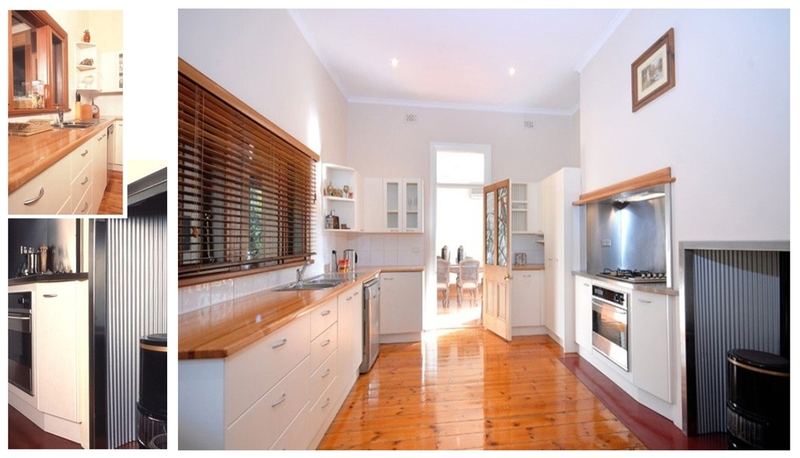 Tasmanian Oak Benchtops & Sage Thermafoil Doors. 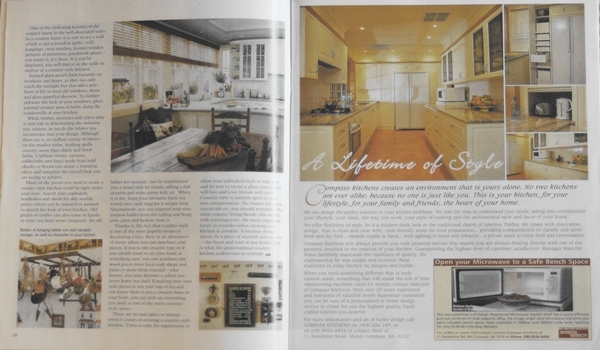 This particular kitchen first drew the interest of the "Our House Magazine" and featured in their special Annual Kitchen & Bathroom feature. 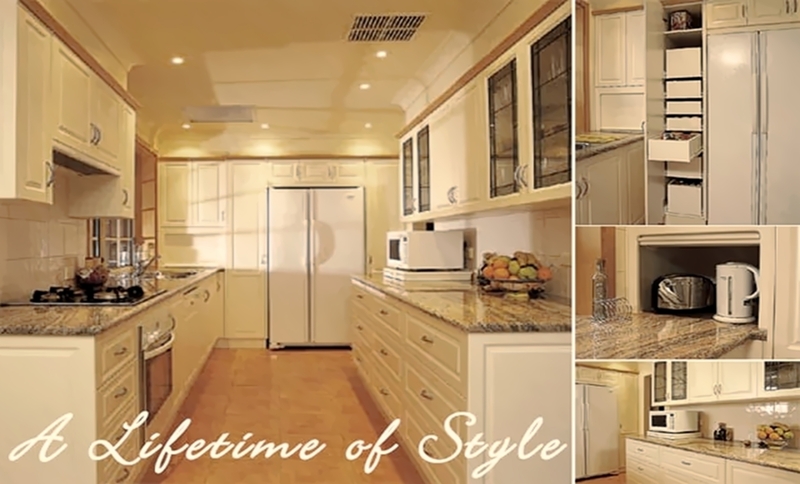 Described as having a timeless appeal this Scandinavian Style Kitchen was quickly picked up by other magazine publishers to feature in the "Classic Kitchens Magazine" and "The Very Best Kitchens & Bathrooms" Magazine. 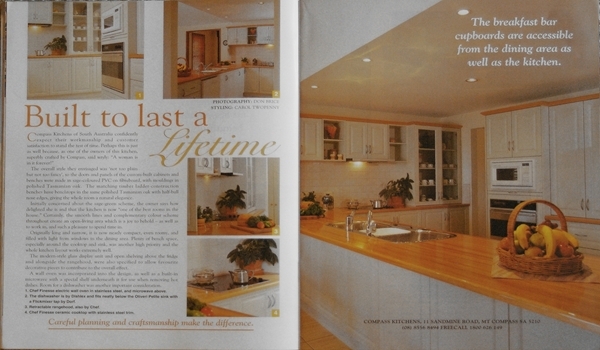 Following over time with another three page feature in "Modern Kitchens and Bathrooms Magazine" and a four page feature in the Magazine "Innovative Kitchens & Bathrooms", demonstrating the broad appeal of these quality material finishes when mixed with good design. This Scandinavian Style kitchen with its simple clean lines incorporated solid Tasmanian Oak timber tops for the main work areas and we made a Stainless Steel Benchtop and Splashbacks for the opposite cooktop area. We also made matching Stainless trim for the old Boiler hearth and Chimney where our client also installed a pot belly Gas Heater. Before installing this kitchen we also removed the small existing 600mm wide window and replaced this with a wide two meter timber window so to bring more natural light into this space. 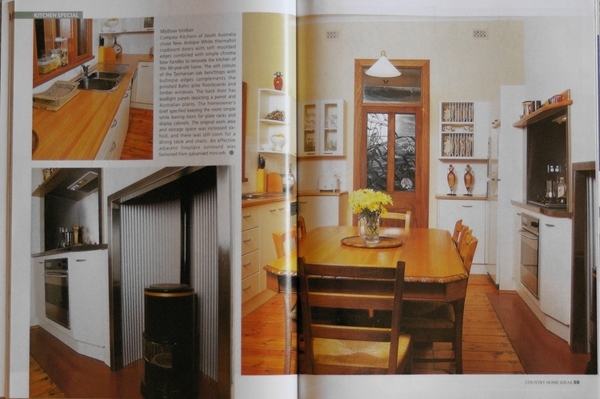 This kitchen in Prospect South Australia featured in the annual kitchen feature of the popular Country Home Ideas Yearbook. This stylish galley kitchen that we made for our clients at Westbourne Park, South Australia incorporated many features into a tight space to maximize functional work space and storage. These Included making two pantries, which flank the fridge and centre it to the room and enable full access of its French Doors; these pantries house 14 custom drawers to suit our customer’s pantry storage needs. This kitchen used Miele appliances, including a hidden integrated Miele dishwasher, and a ducted retractable rangehood. Making good use of all the space, we introduced an appliance centre, a 700mm deep Granite working Benchtop and another 13 storage drawers, making it twenty-seven drawers in total. 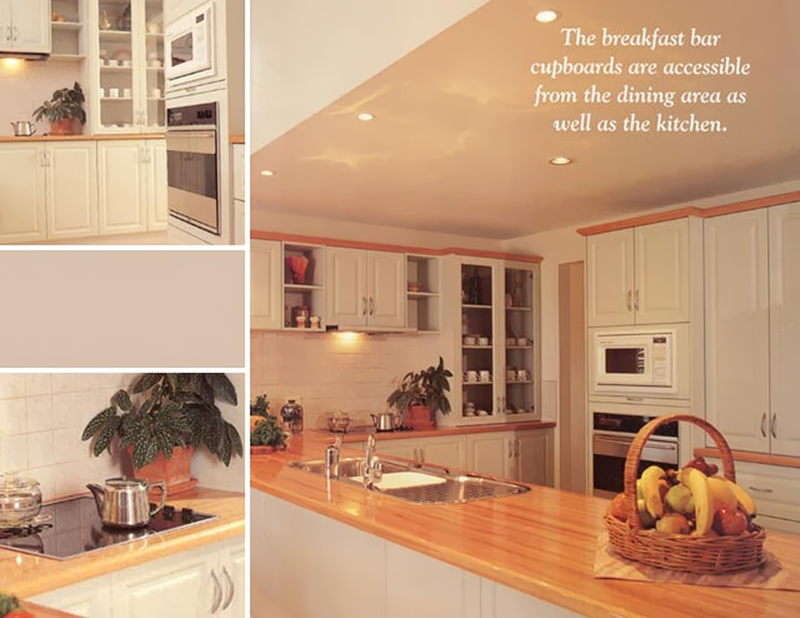 This Galley kitchen featured in the Country Home Ideas Magazine, the Country Decorator Magazine and made it into the Country Home Ideas Yearbook.